Painting of mask from Zimbabwe, acrylic on canvas with hemp. This trio is representative of tribal masks in and around Zimbabwe. Painted using acrylic on canvas and mounted to stained canvas backing. Hemp, shells and stone appliqués have been added to the canvases. Anti poaching painting. oil on canvas, 20" X 16" framed behind glass inlaid wood. Stop killing Rhinos for their horns. Using juxtaposed contrasts of scale, color and texture, I am able to create a compelling image that also makes a statement advocating respect for animals and nature. Elephants are becoming extinct due to illegal poaching; humanity depends on the delicate balance of shared natural resources or else we too will cease to exist. Additionally by destroying animal life we also destroy our own sentient humanity. 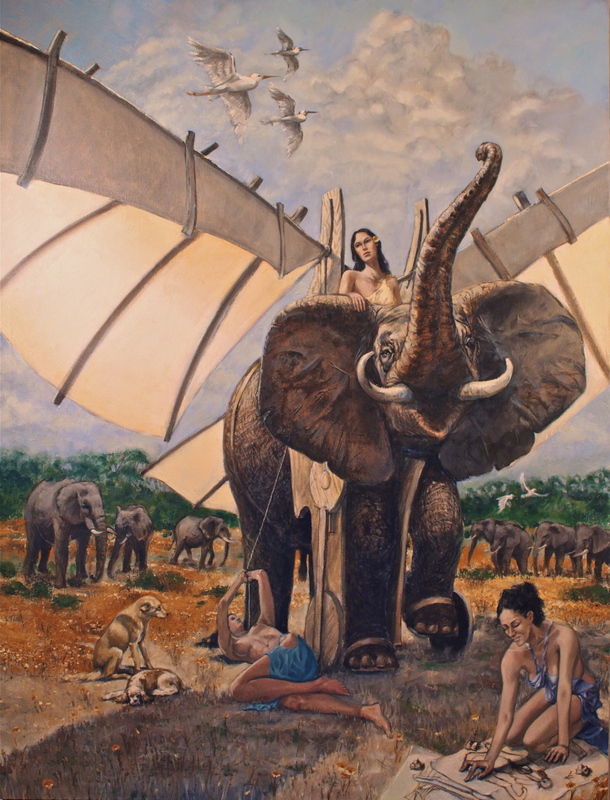 My painting shows the vulnerable, smooth, skinned human, kneeling while balanced on the trunk of the powerful, wrinkled, ancient beast. 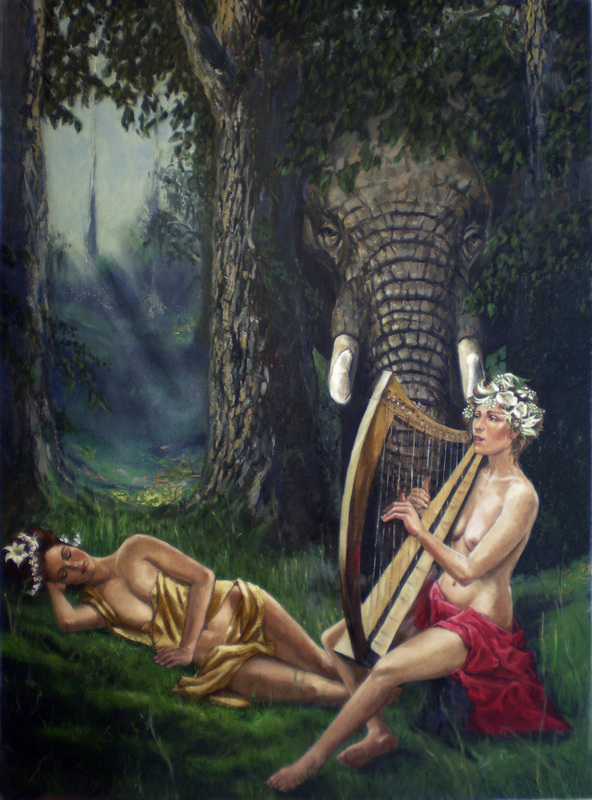 She maintains her balance, with the aid of the elephant’s raised trunk; both exist together on the canvas as equal players in my composition. I love animals and nature, and hope that my paintings do their part to raise a universal consciousness to promote respect for our fellow creatures and planet.